We have not been able to verify your authority to this domain. “We have not been able to verify your authority to this domain. 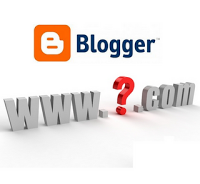 Error 13”.This is a very common error while transferring blogger address to a custom domain address. Here is some clue that will solve you problem easily. This is not an error my friends!! You have to wait. After configuration of the CNAME (Canonical Name record) at your domain name service provider , We have to wait for time till the updated CNAME becomes effective at your DNS provider end. The time actually depends on a number of factors like DNS provider , Real time traffic etc. This is the time could minimum at 5 minutes or max at (DNS provider dependent) , normally not more that 48 hours. Note:- After successful update of URL(custom URL) in blogger setting Google also takes time to transfer control from blogger address to custom address (www.example.com) . This time could also ranges from 5 minute to 48 hours. normally 5 to 15 minutes. How to earn money with event blogging ?